Great Investment Opportunity. 3 bedrooms 1 bath unit A for $1900 and unit B 2 bedrooms 1 bath $1,250, total rent income $2950/month. 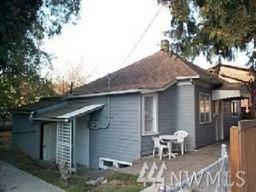 close to bus line, shopping, dining, sewer park, minutes to downtown Seattle. Value is in the land, zone NC230, corner lot. Connected property 3622 S Adam zone NC230 also for sale for best potential.